The date has been set and registration is now open for the 2018 FLRunners.com Invitational sponsored by ASICS. Mark your calendars for September 28-29 as we head back to beautiful Holloway Park in Lakeland for the second year in a row. 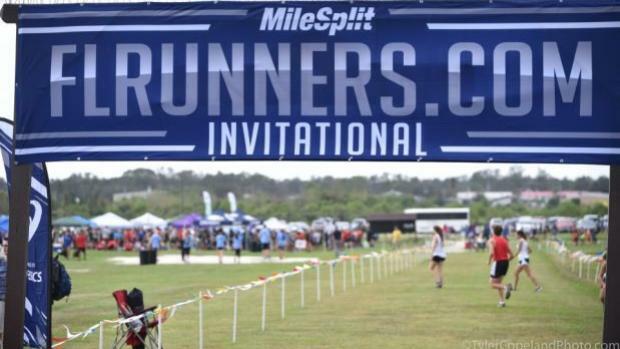 Last year, we had over 200 teams and 4,500 athletes and expect that number to grow even more this year at the best cross country meet in Florida and the southeast. As part of our three year partnership with ASICS, ASICS professional athlete Johnny Gregorek will also be returning as our celebrity guest to sign autographs, offer advice, and interact with athletes, teams and fans throughout the weekend. Gregorek, a standout high school runner in Massachusetts, ran collegiately at Columbia University, and the University of Oregon. At the 2017 World Championships in London, he was the highest-placing American in the 1,500, coming in 10th in a time of 3:37.56. Early team commitments include 2017 3A Cross Country Finals champions Belen Jesuit who have won the most FLRunners.com Invitational trophies in the Boys Race Of Champions. Defending Girls Race Of Champions winners Montverde Academy looks to repeat, while host George Jenkins and Osceola (Seminole) finished 4th and 7th last year and hope to move up in the standings.